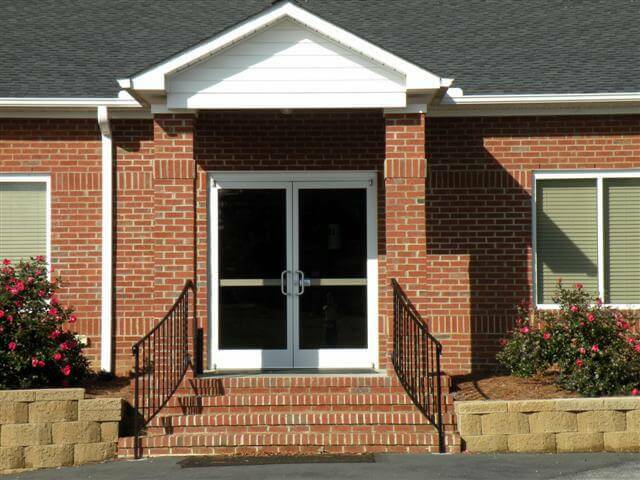 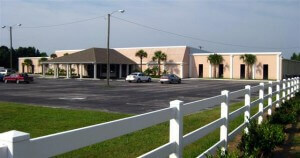 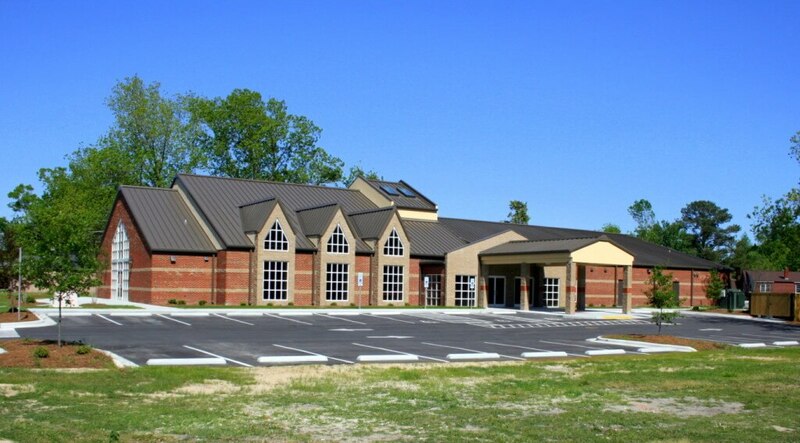 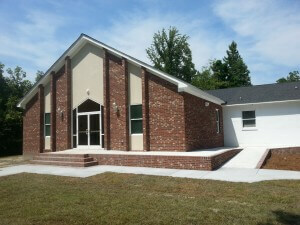 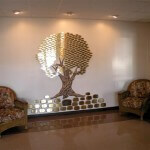 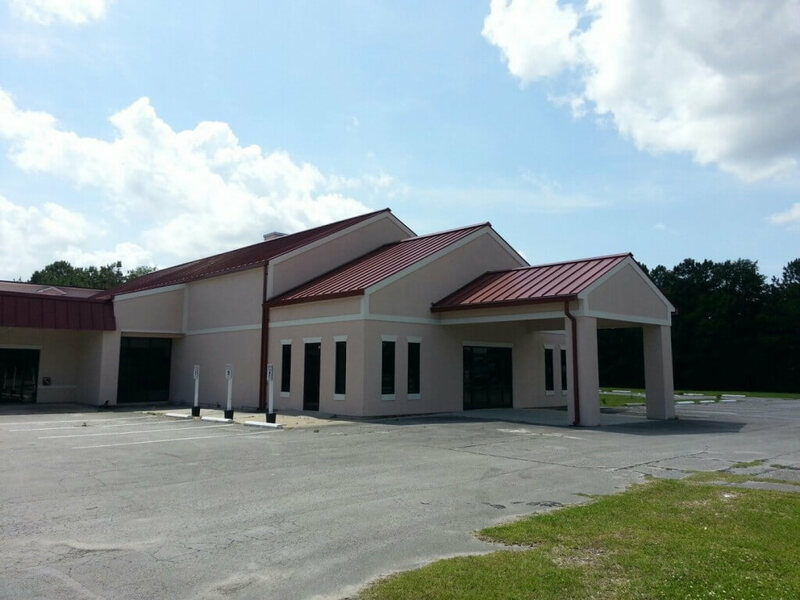 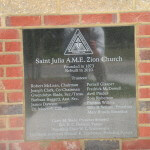 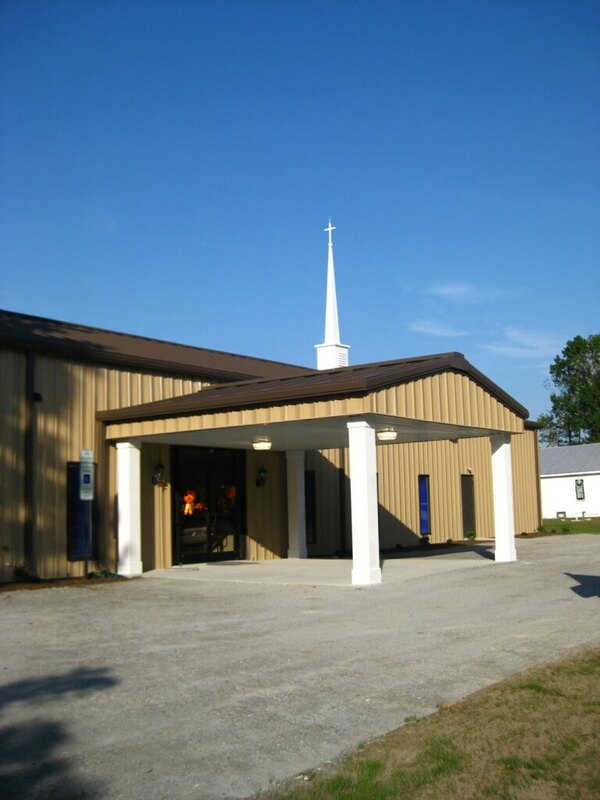 The facility for Changing Hearts Ministries was constructed on Gum Branch Rd, Jacksonville, NC. 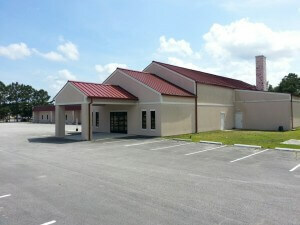 The facility has seating for 250 people in the sanctuary, offices, educational space, and a fellowship area with kitchen. 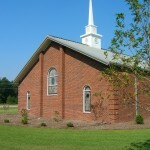 The church was constructed on 14 acres between Jacksonville and Richlands. 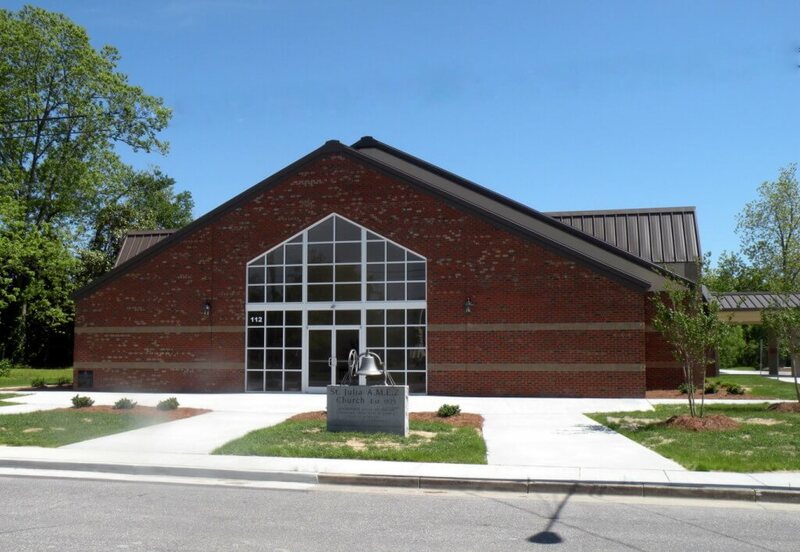 Tarheel was tasked with all permit requirements which included; Storm Water, Sedimentation and Erosion Control, On-Site Waste Water (septic), Potable Water, NCDOT Driveway, and County Building Permits (including Special Use Permit, Zoning, Fire, and Building). 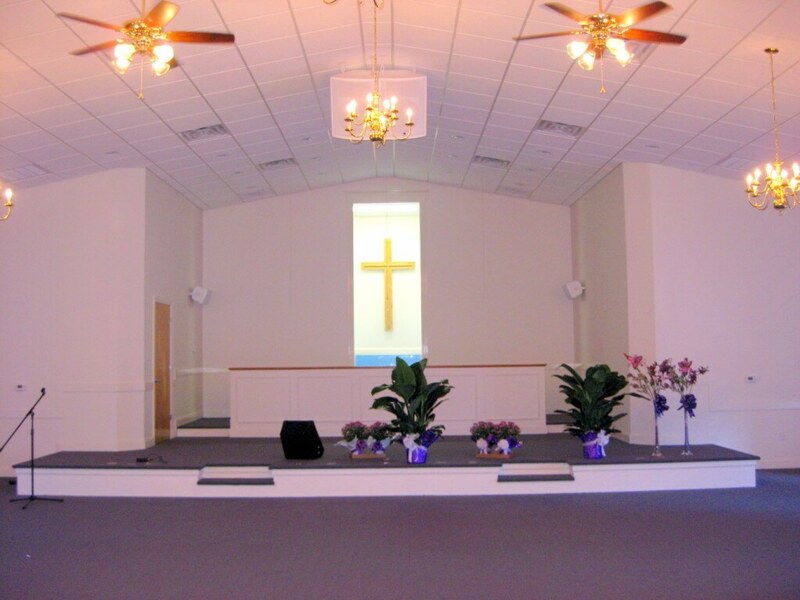 Chapman’s Chapel was designed to meet the congregation’s needs and budget. 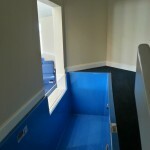 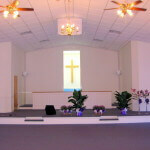 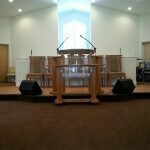 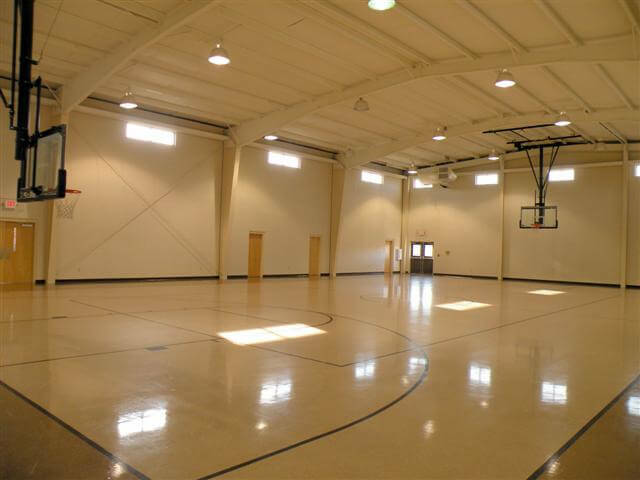 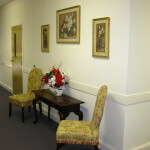 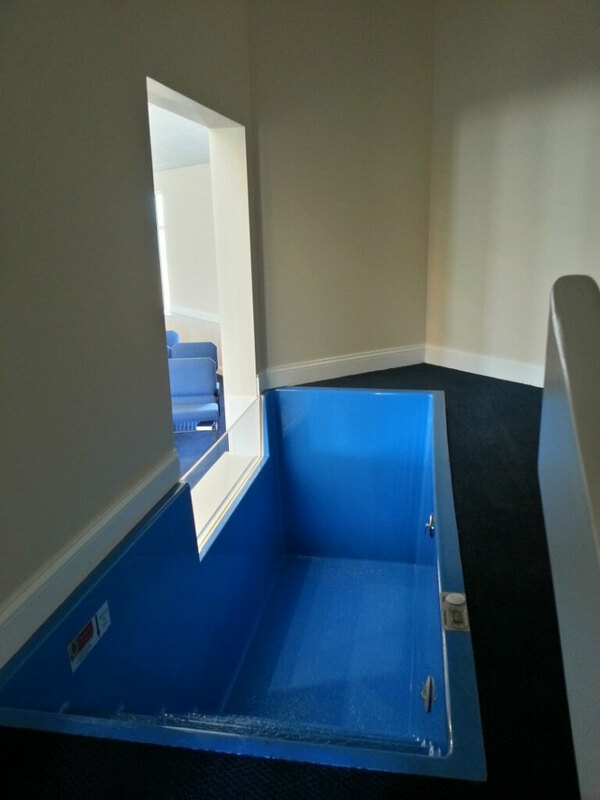 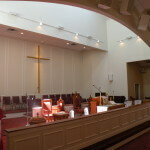 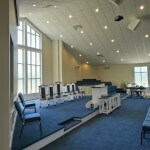 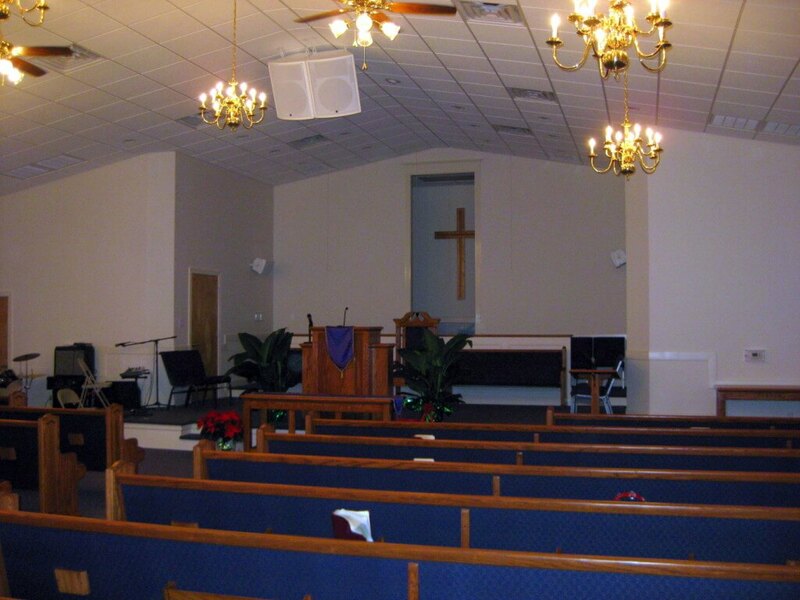 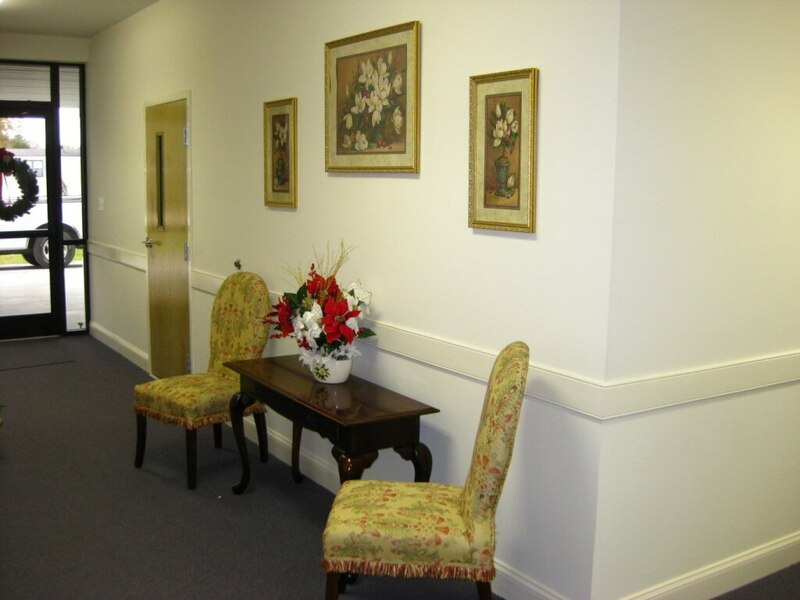 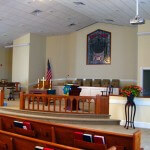 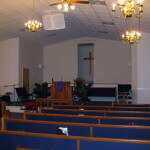 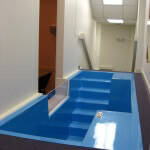 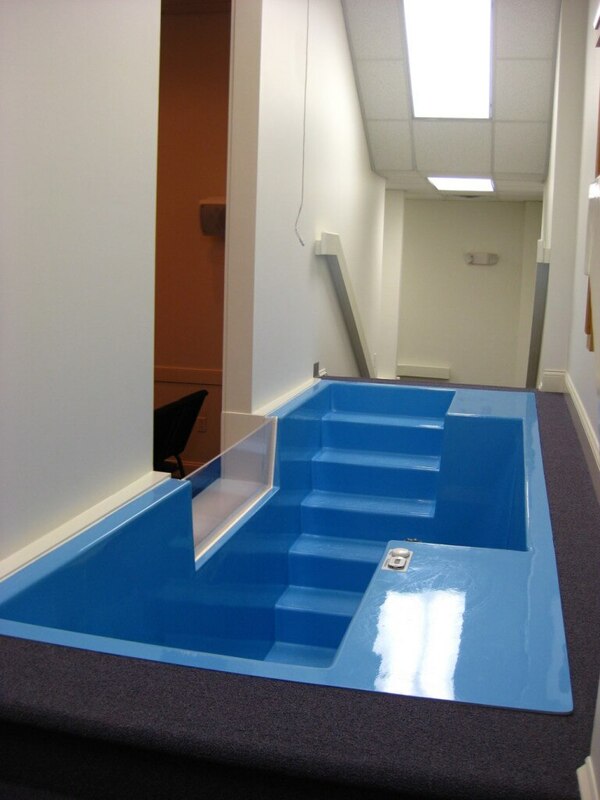 The interior of the facility is showcased with all amenities any church could desire. 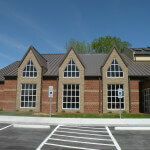 The exterior is a very clean energy efficient pre-engineered building. 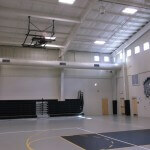 This facility has a R-30 energy saver insulation system installed in the roof assembly. 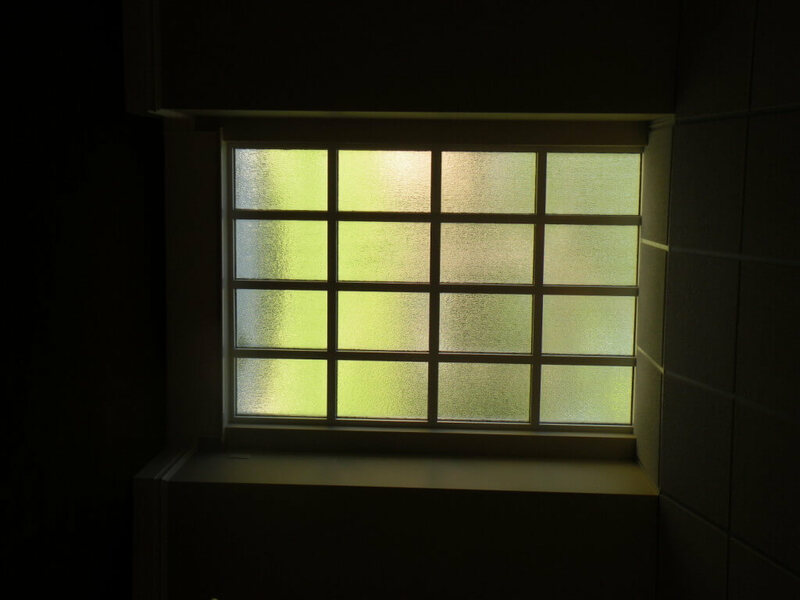 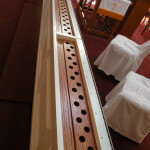 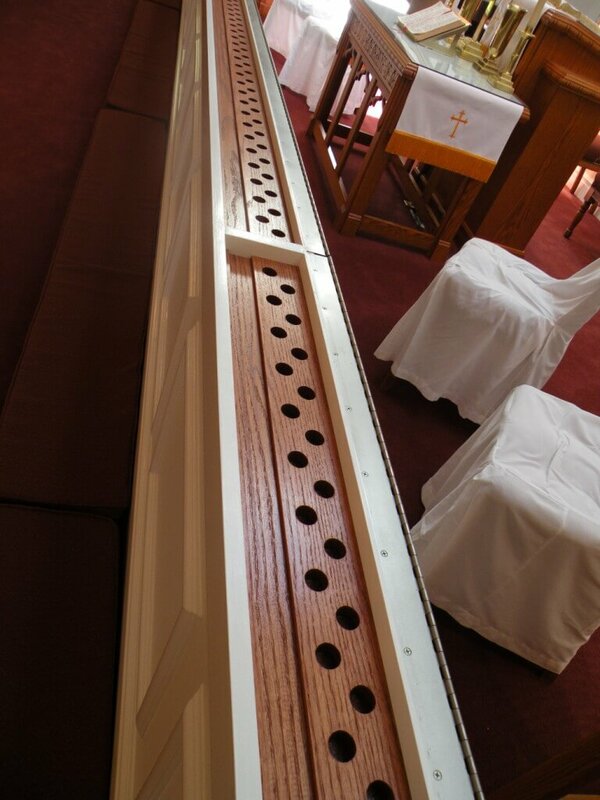 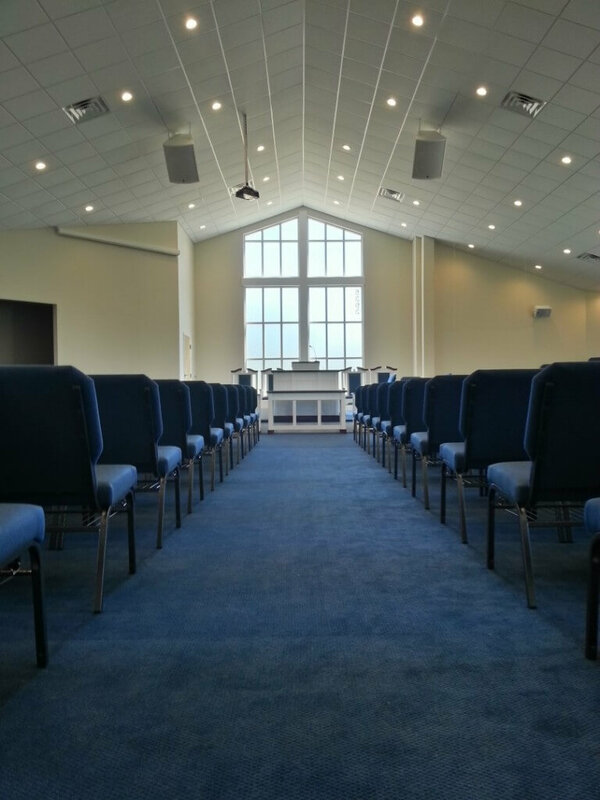 Combined with thermal batt insulation in all walls and above the acoustical ceiling, the church has a low monthly utility bill, that assisted the congregation in retiring the building mortgage. 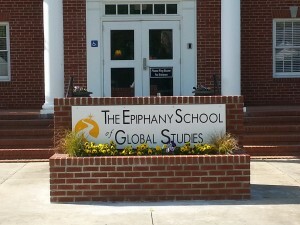 The Epiphany School of Global Studies – Lower School Campus was originally constructed to be a Baptist church. Tarheel was instrumental in converting many of the existing spaces to new uses required by the growing private school. 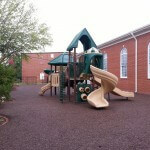 Parking areas became play grounds, non-compliant Sunday School rooms were retrofitted to be used as 2nd grade classrooms. 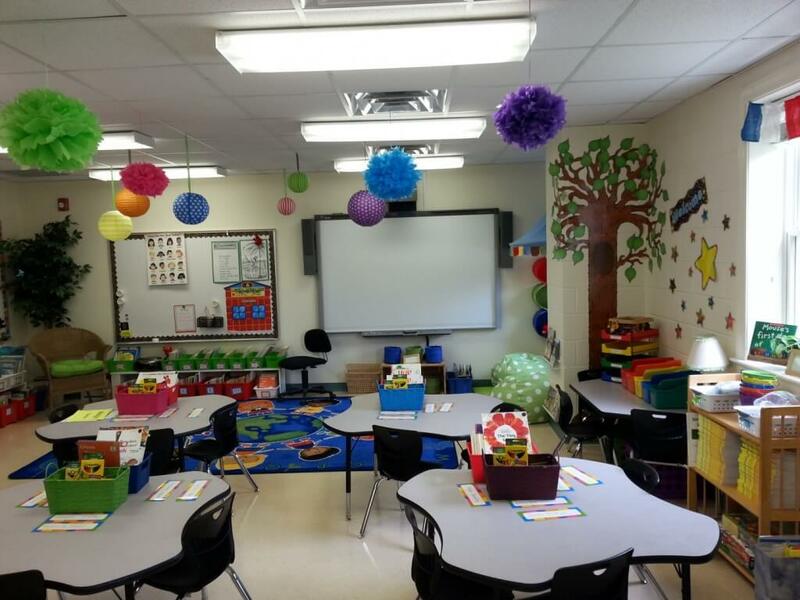 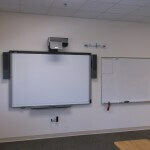 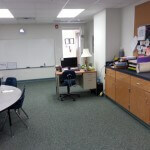 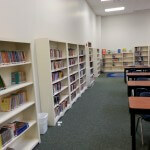 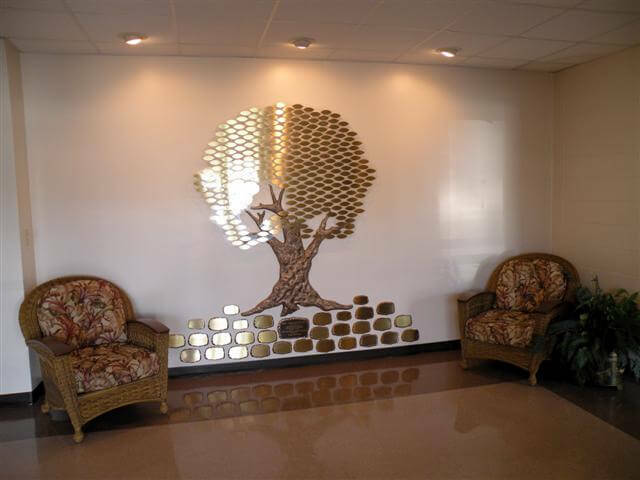 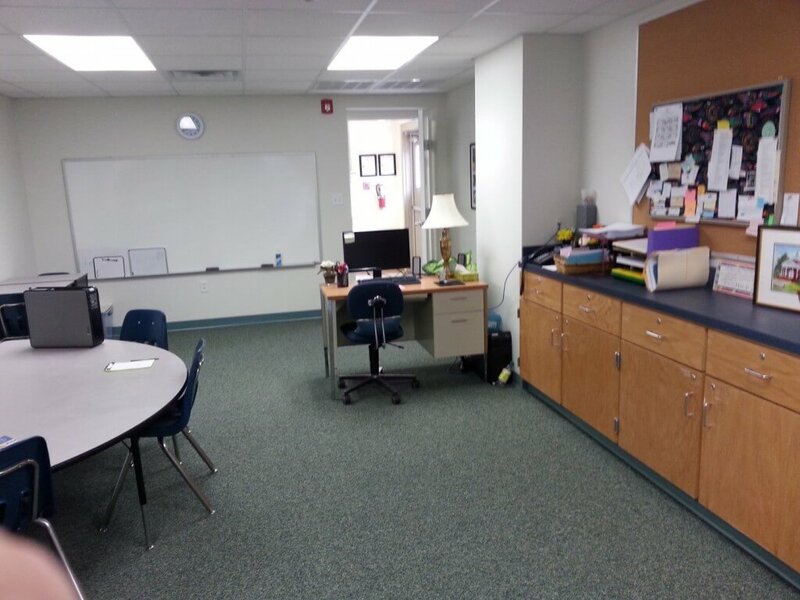 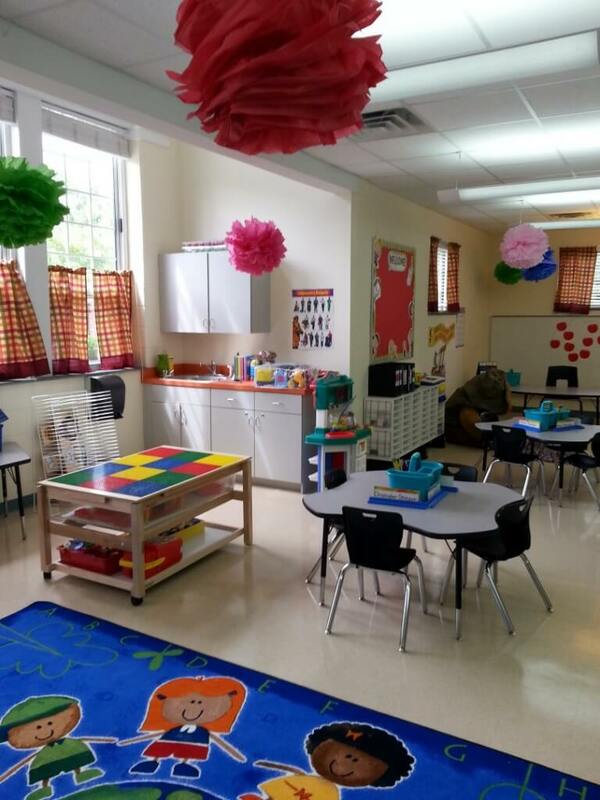 Small rooms were combined to yield spacious classrooms that are equipped with Smartboards, voice over IP phones, cubby areas, art centers with plumbing, and dedicated storage and workstations for teachers. 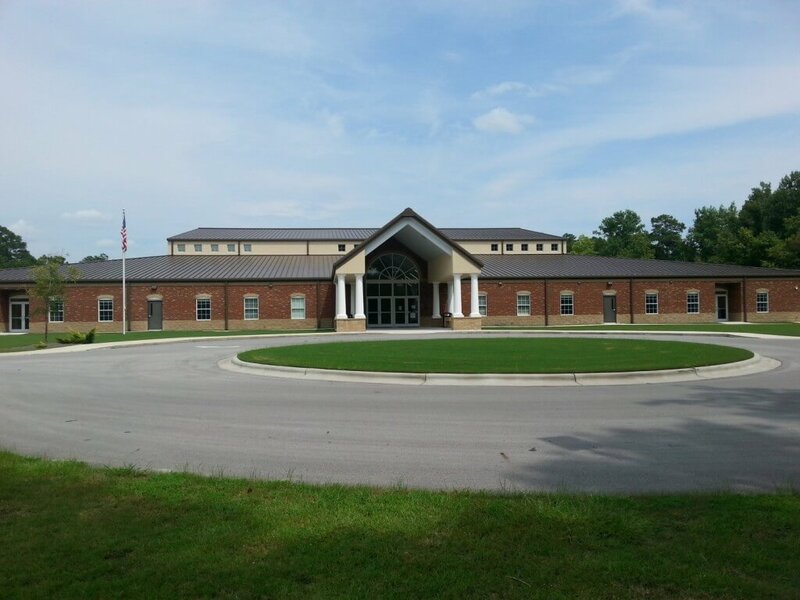 The Board of the Epiphany School selected Tarheel Building Systems to design and construct the new Upper School campus located at 2301 Trent Rd. 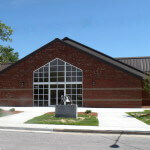 Tarheel was able to meet a very lengthy list of requirements set forth by the school. 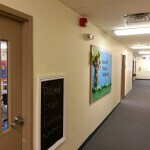 The project was completed in less than twelve months! 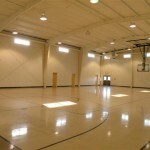 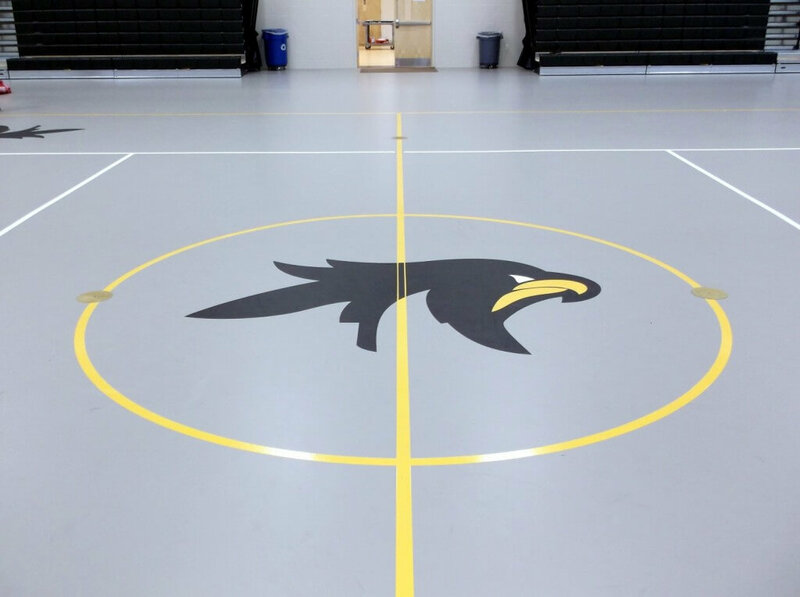 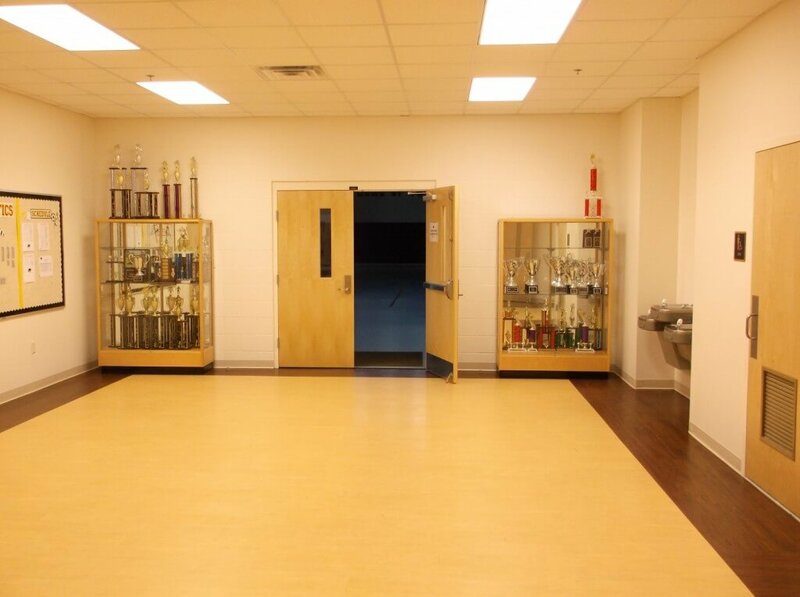 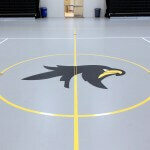 The interior boasts a gym with six remote controlled basket ball goals, three volley ball courts, and wireless scoreboards; a Media Center that features thirty wireless student research stations; over 600 people can enjoy the high definition video system and professional quality sound system in the Performing Arts Center. 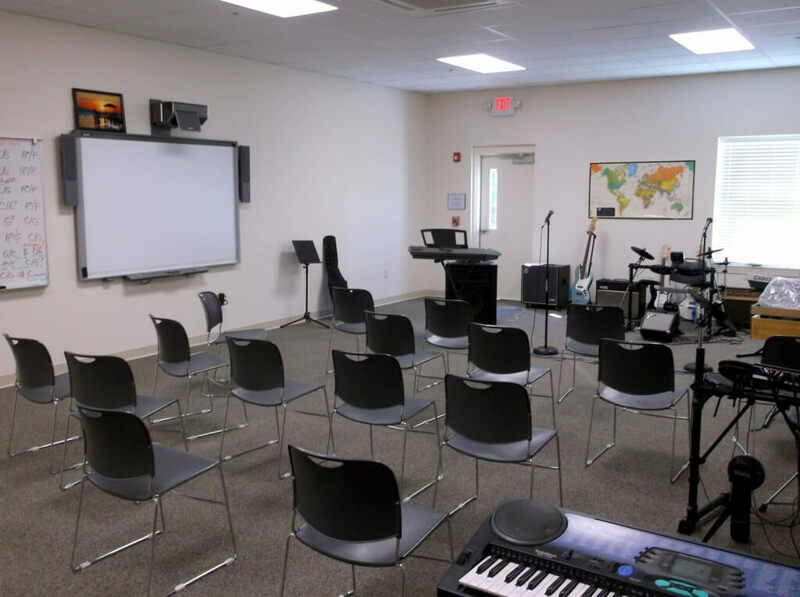 The school has sixteen classrooms that are each equipped to allow access to the complete arsenal of technology that the Upper School offers. 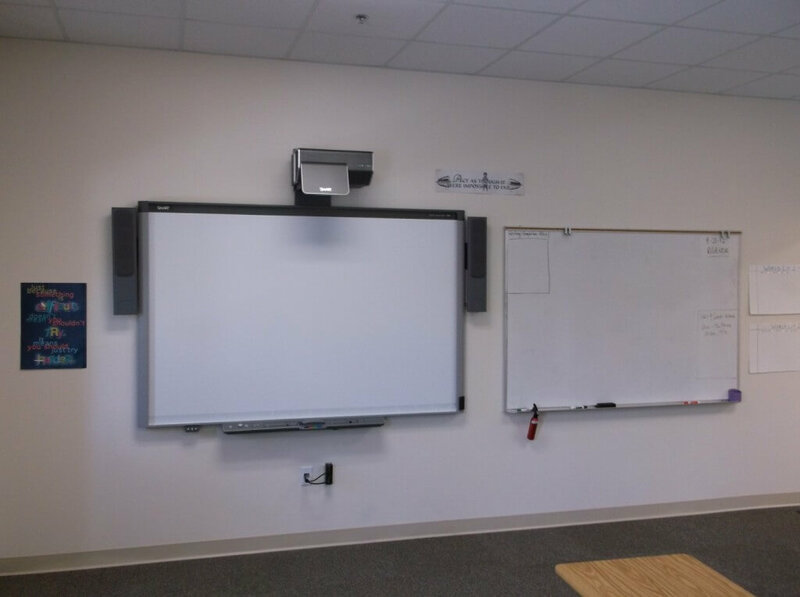 Educators are able to use interactive Smart Boards and independent study areas to promote the high standards accepted by each Epiphany student. 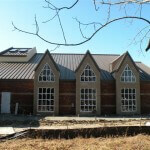 Two dedicated Science Labs are designed for students to have classroom space and experiment and research space. 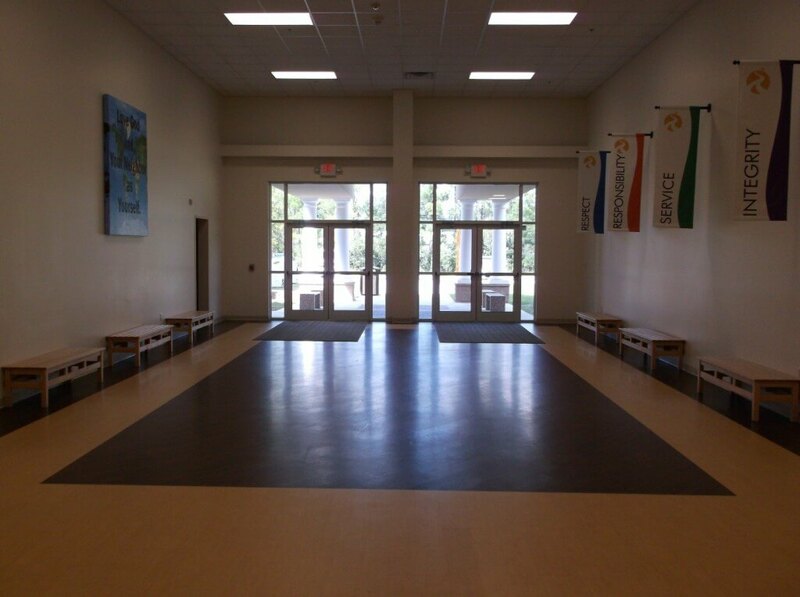 The interior finishes are superb. 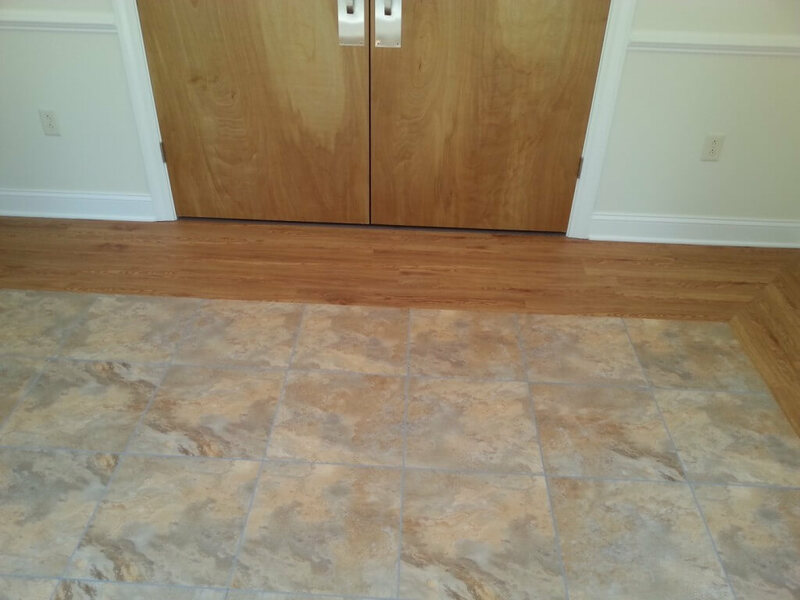 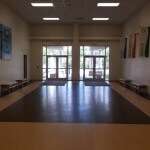 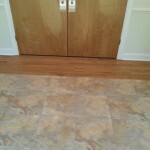 Luxury floor coverings that allow for reduced maintenance and longer life expectancy were selected. 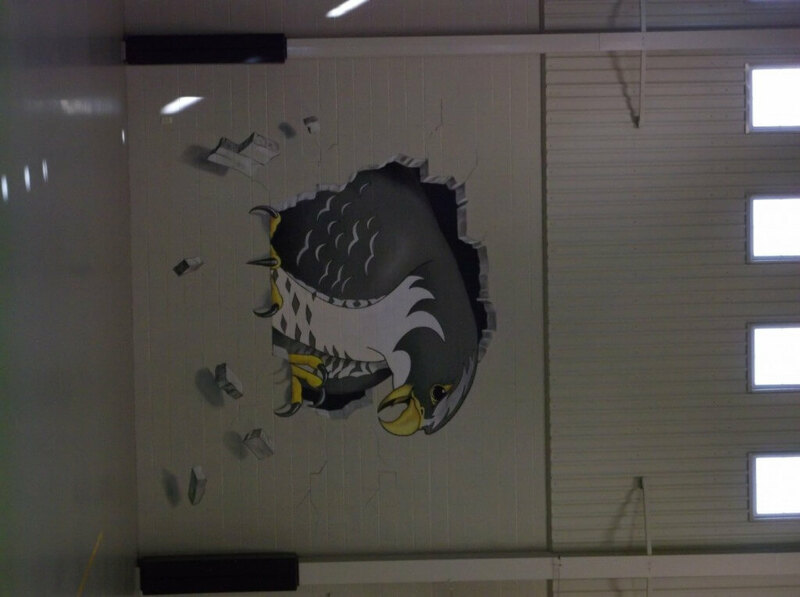 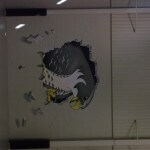 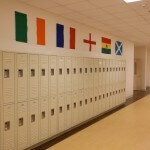 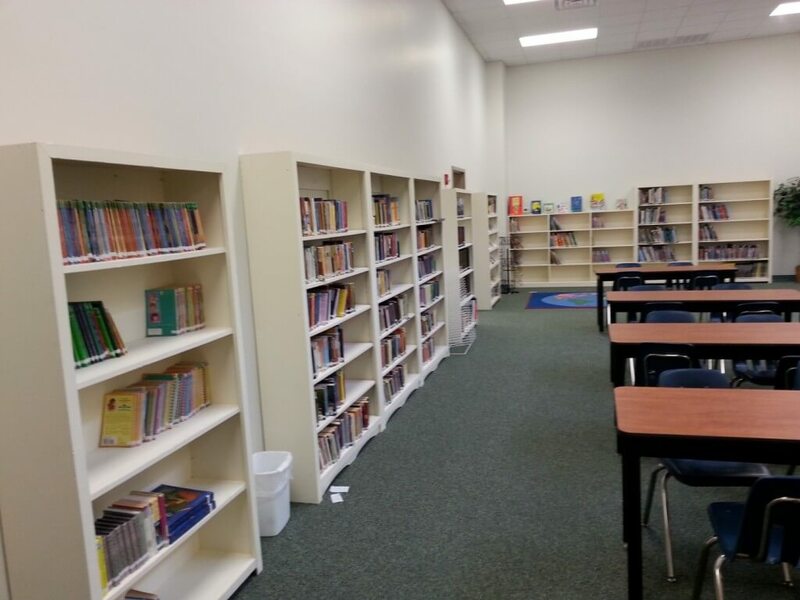 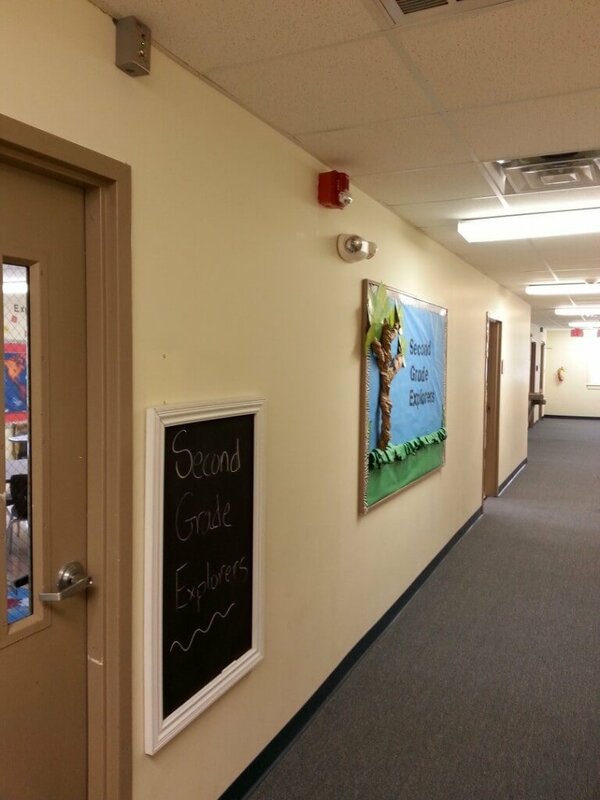 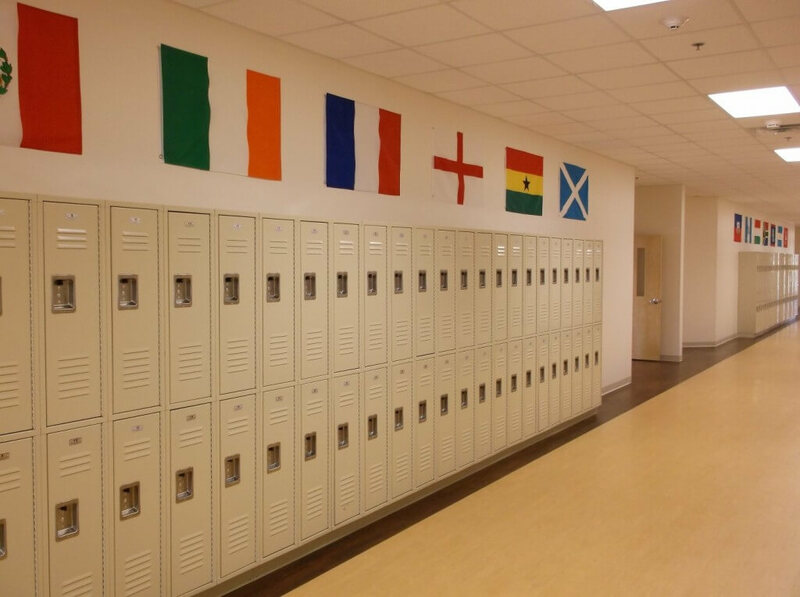 Quietrock, sound absorbing sheetrock, was installed between classrooms to control sound between classrooms. 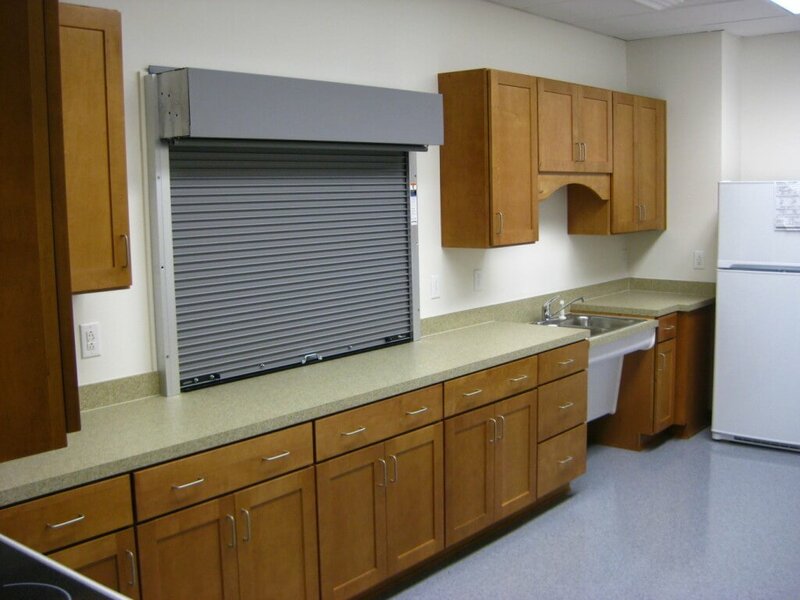 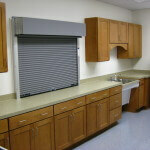 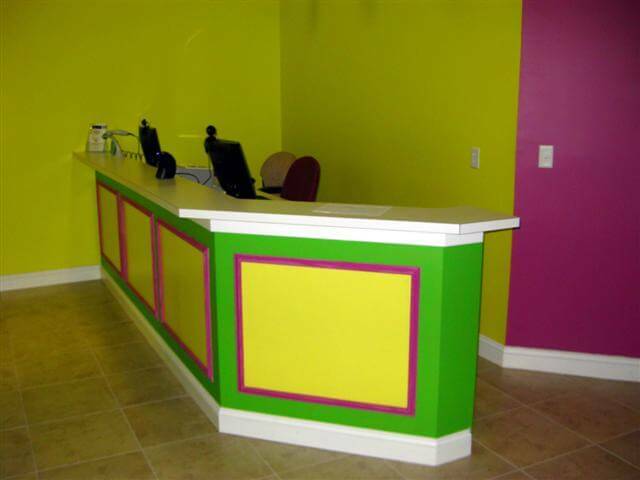 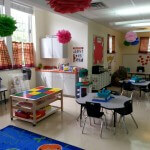 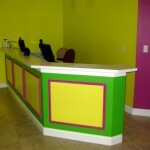 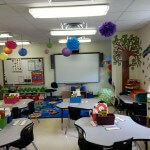 Cultured marble window sills, Corian work surfaces, and storage closets are found in every classroom. 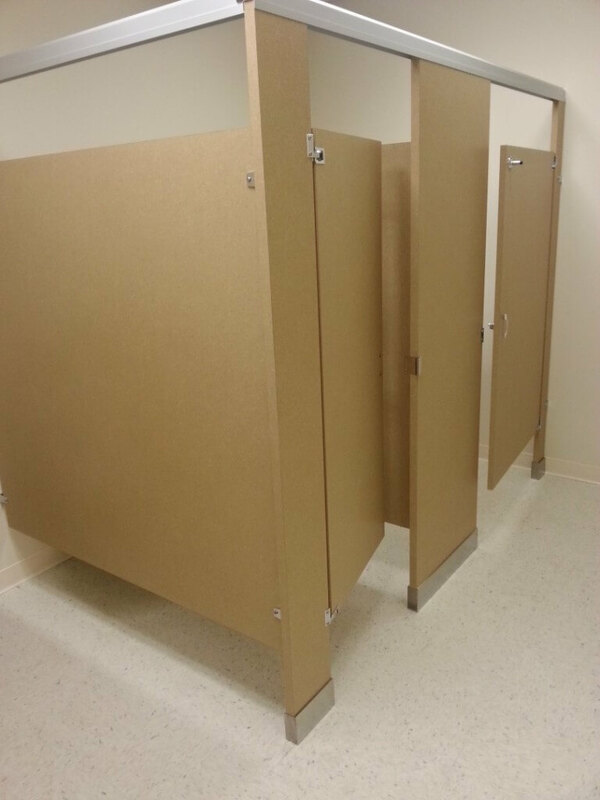 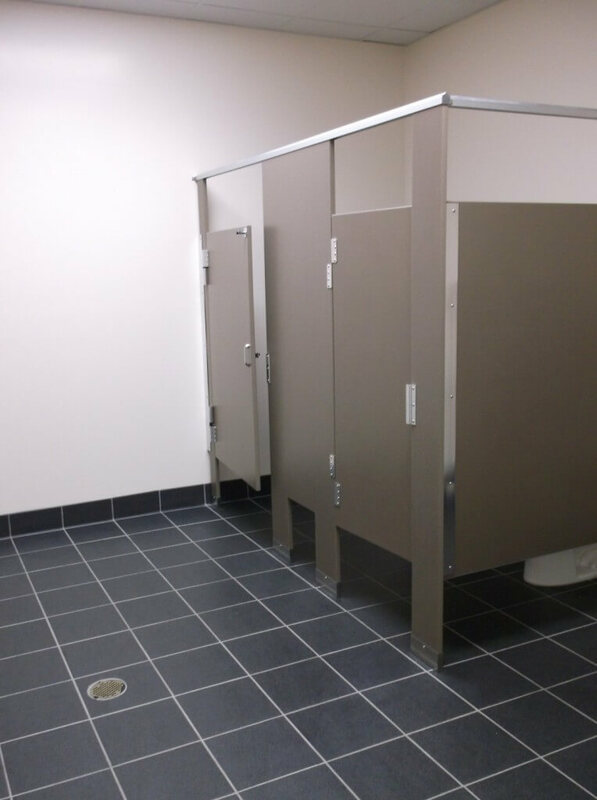 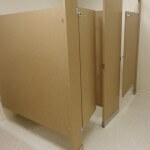 If your project has a tight schedule and a stringent list of requirements, contact one of the professionals at Tarheel Building Systems, so they can help you complete your dream facility. 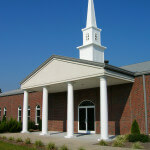 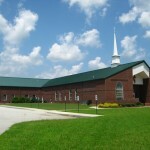 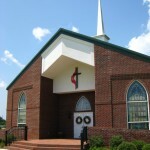 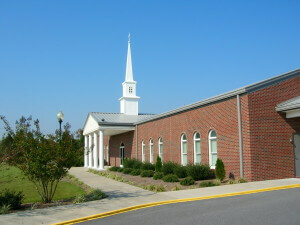 New Testament Baptist Church is a 13,062 sq. 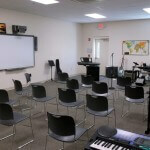 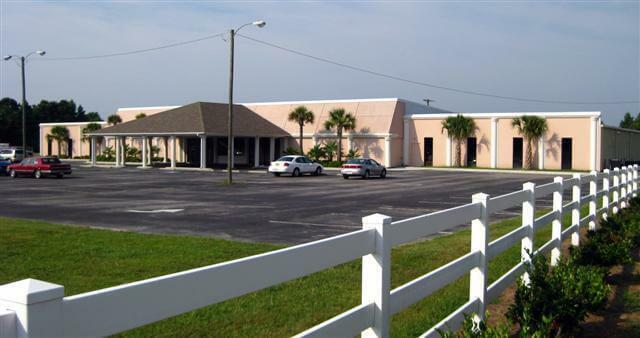 ft. complete worship facility that has a sanctuary capacity designed for growth, multiple Sunday School rooms, offices, and a kitchen and fellowship area. 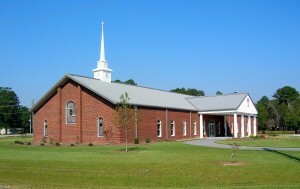 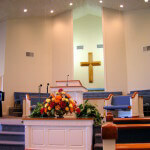 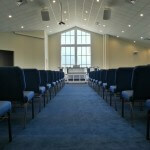 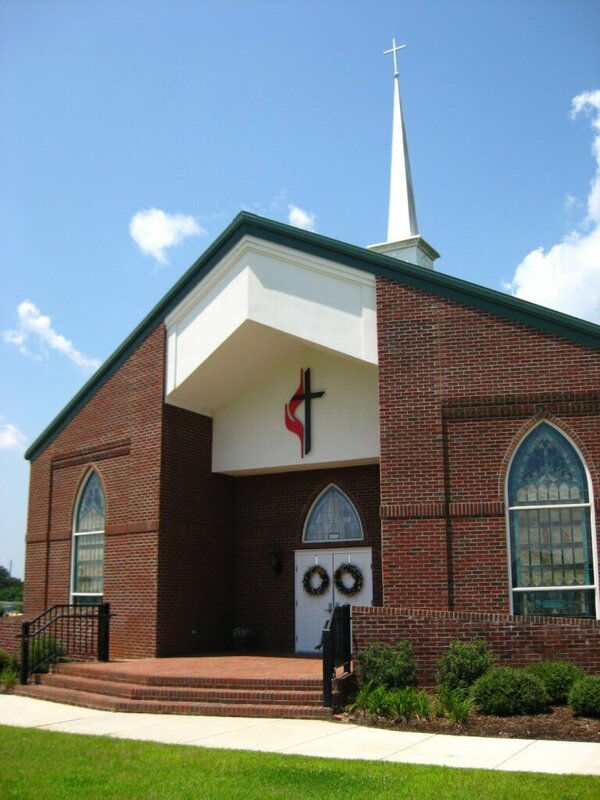 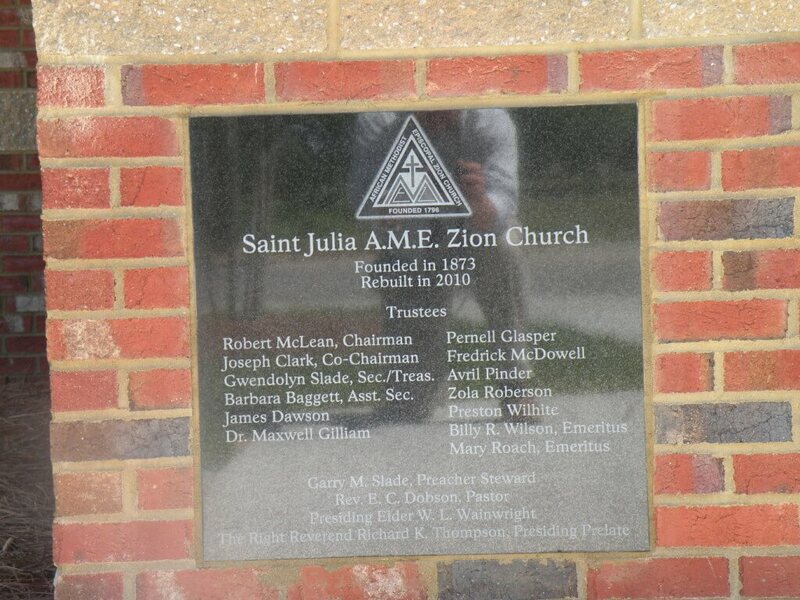 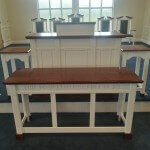 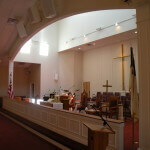 The design-build project has been inspirational for numerous other churches throughout eastern North Carolina. 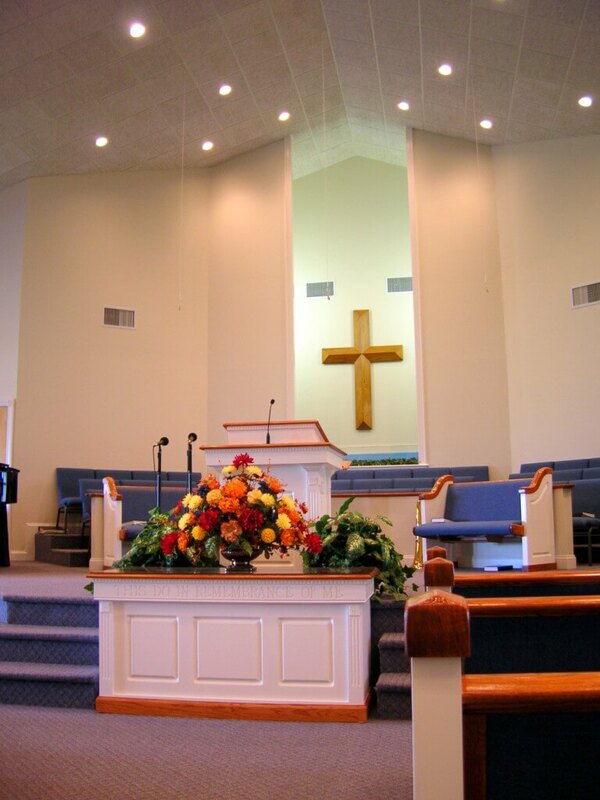 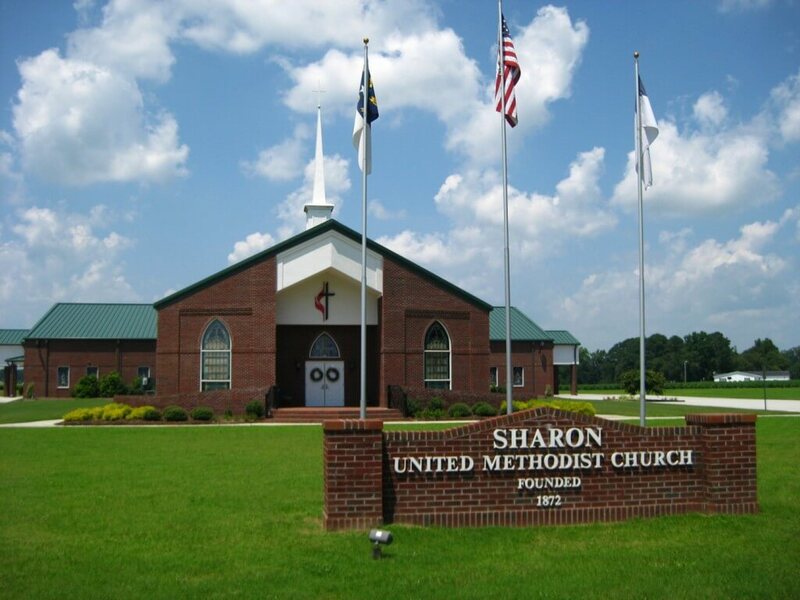 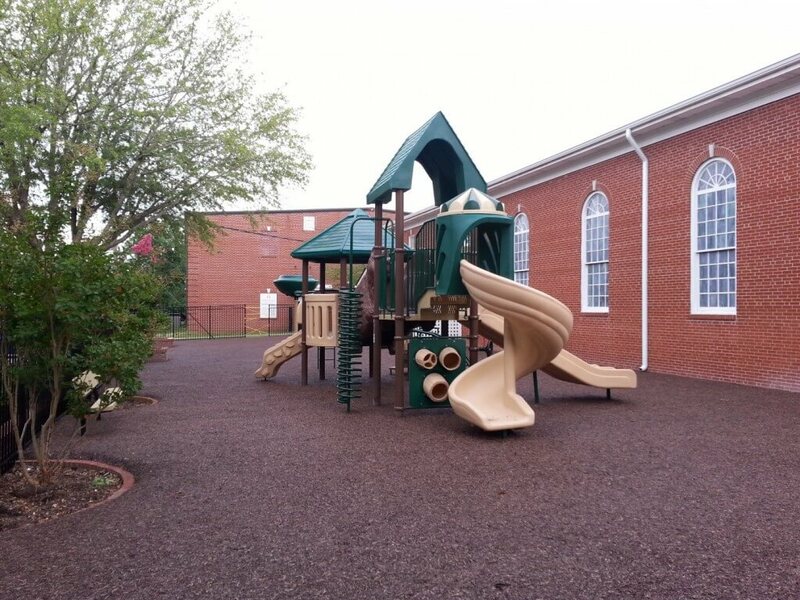 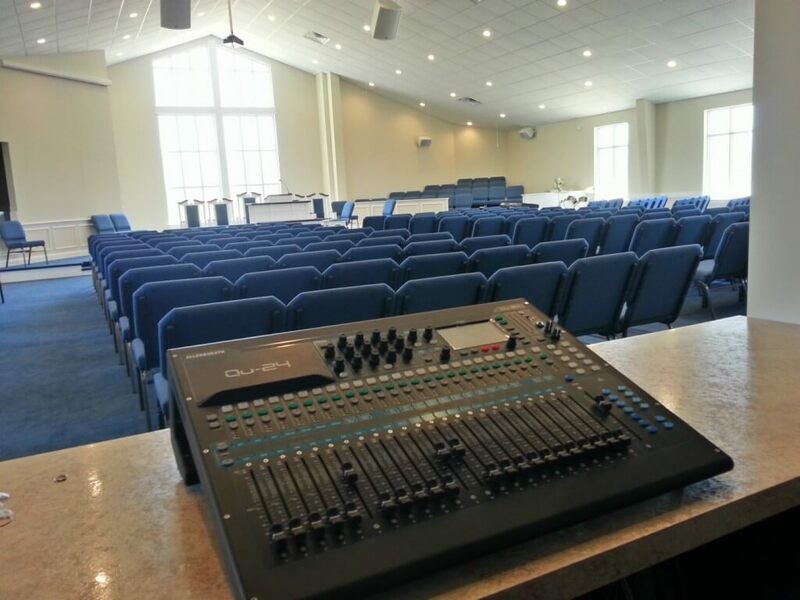 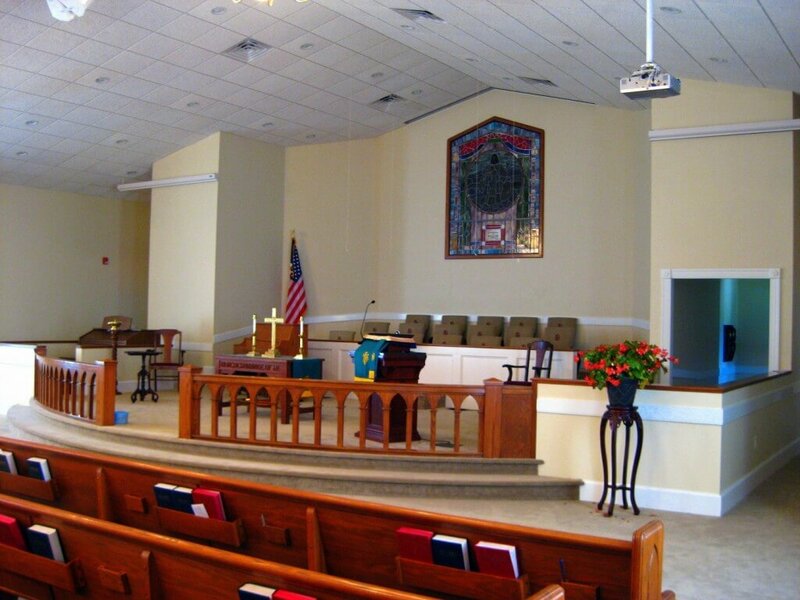 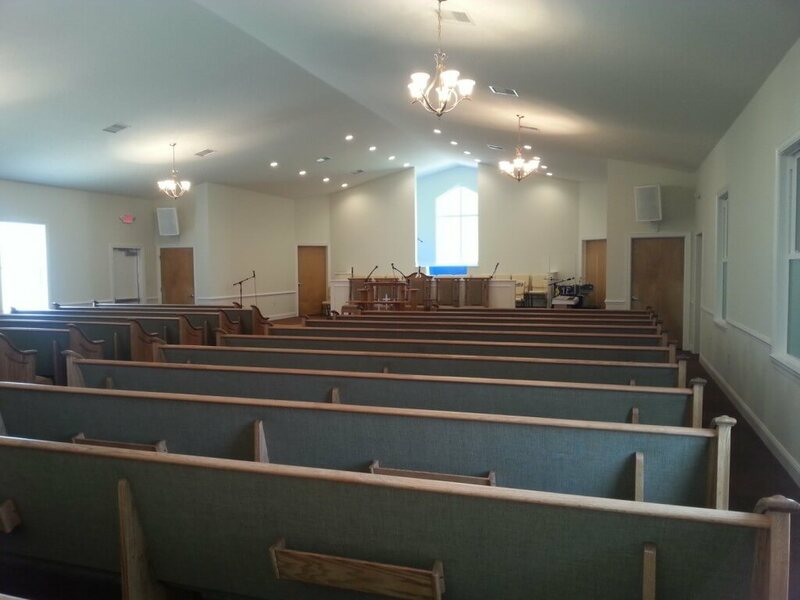 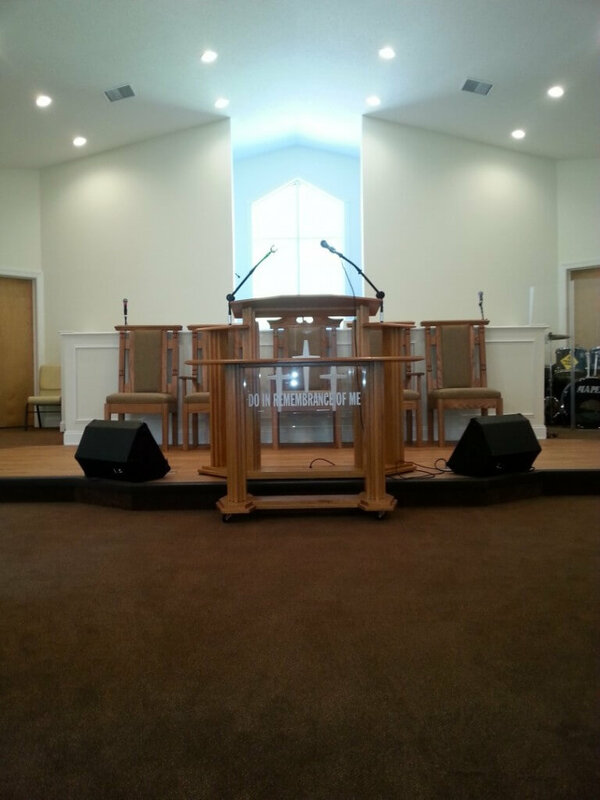 The congregation of Sharon United Methodist Church was very selective when choosing Tarheel Building Systems to construct their new facility. 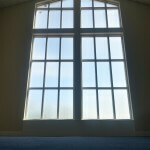 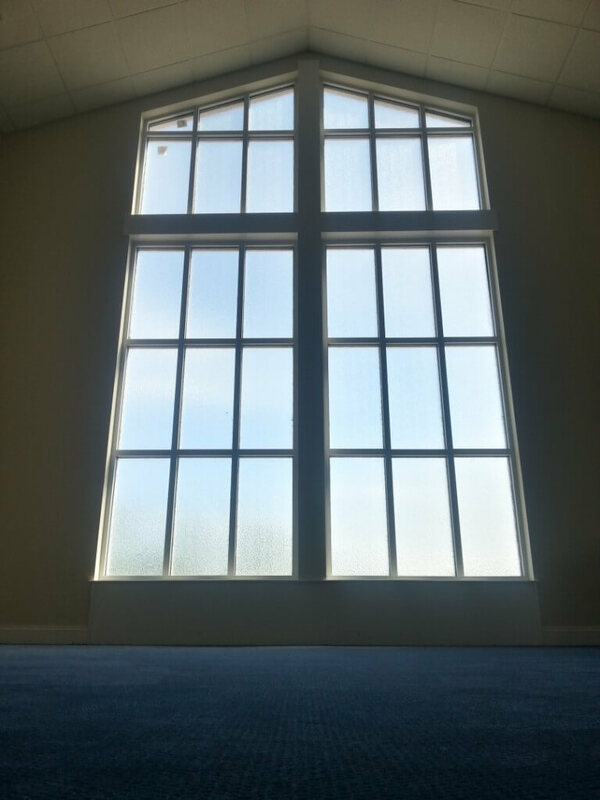 The Church’s rich history was preserved in the new facility by removing the 100 year old stained glass windows from the Church’s original building and installed them in a new non-combustible, state of the art worship facility. 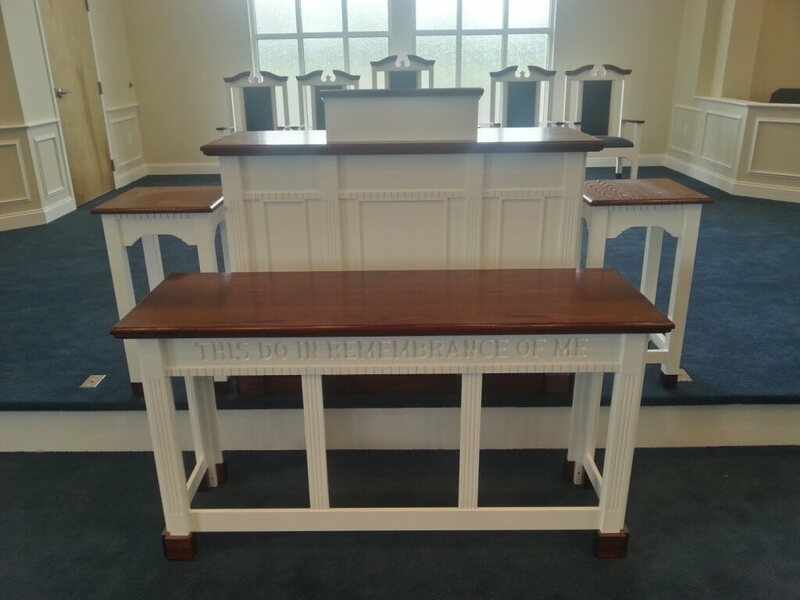 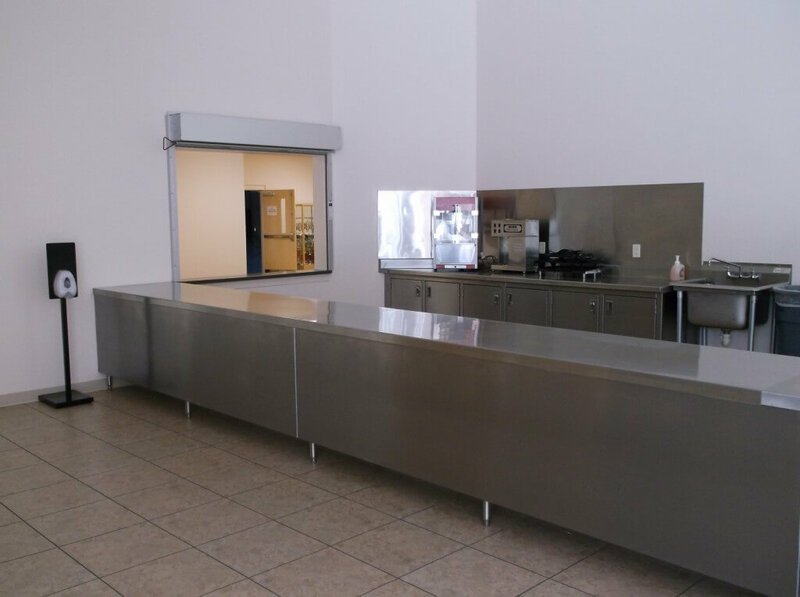 The new building contains a commercial kitchen, fellowship hall, class rooms and a sanctuary that showcases the high level of craftsmanship that is demanded by Tarheel Building Systems. This facility is a welcomed addition to the revitalization efforts that are taking place in the area. 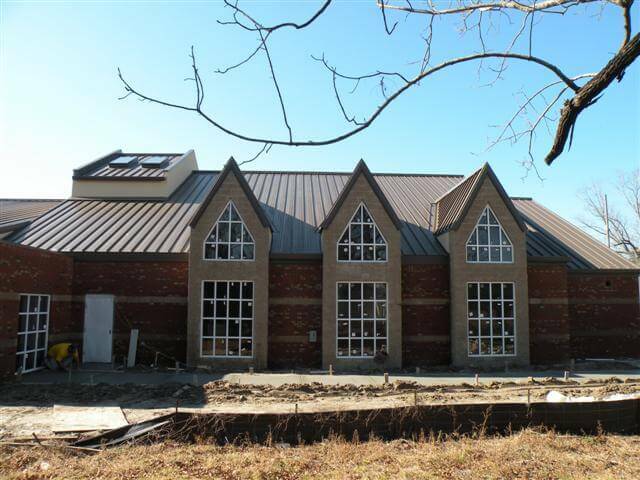 The use of light gauge metal stud framing combined with a pre-engineered metal building by CECO Building Systems insures the project will have a long life cycle, fast delivery for the customer and reduced ownership cost for the life of the project. 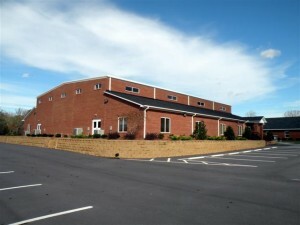 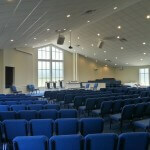 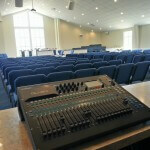 Tarheel has designed and constructed two projects for The Potter’s House Church. 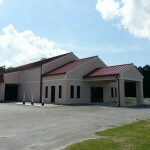 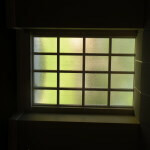 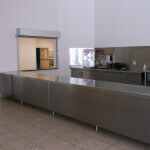 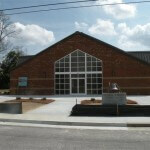 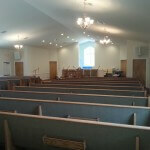 The first was a new fellowship hall complete with a commercial grade kitchen. 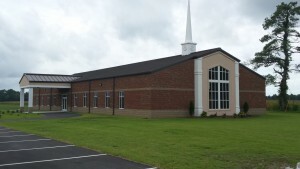 The second project was a first for the area. 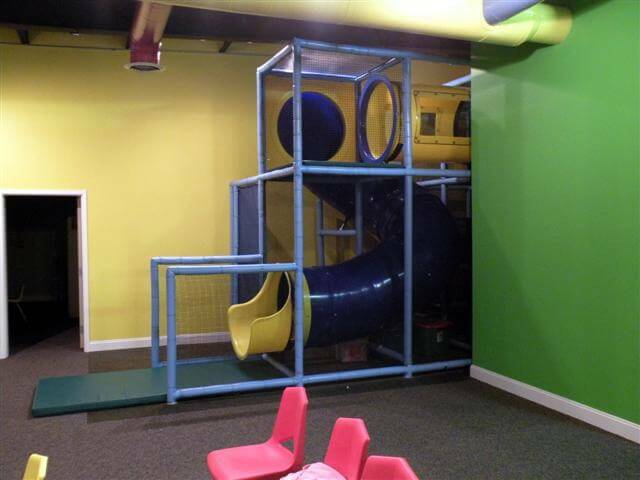 It was a dedicated children’s church that includes barrel slides, ball pits, puppet stage, and an amazing audio-visual system. 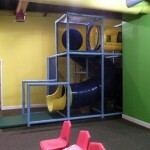 The safety of the children attending the “Kids Zone” is critical, and cameras and computerized registration ensure that each child is secure. 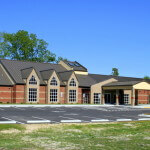 Tarheel was instrumental in the successful completion of these expansion projects. 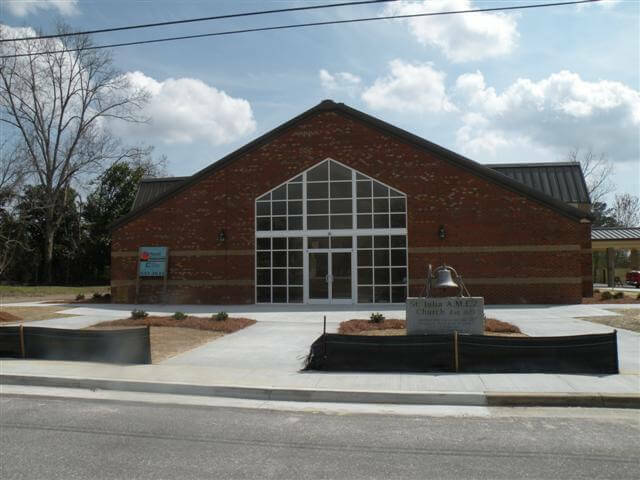 Tarheel Building systems was contacted when a fire destroyed the original structure that housed Timothy Christian Church. 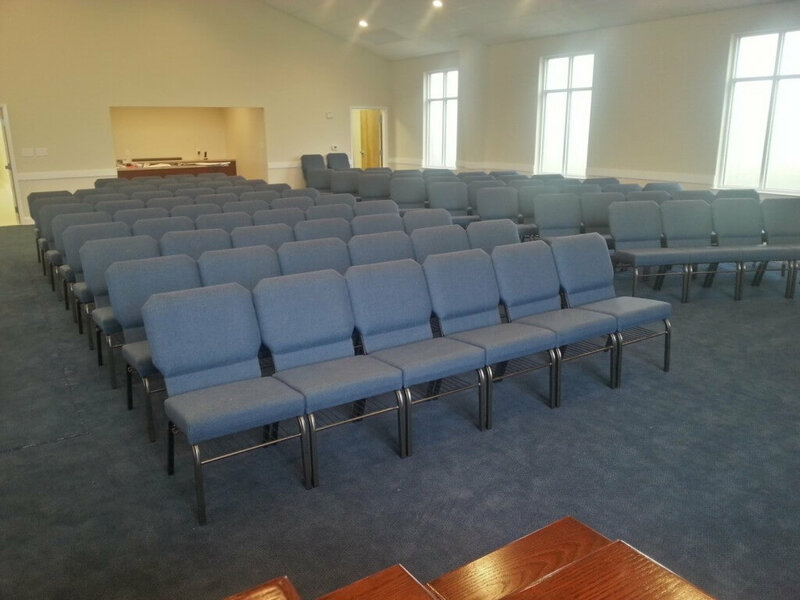 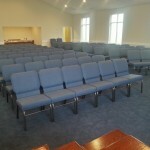 The fast construction schedule including in-house design allowed the church to return to its normal scheduled activites in under eight months in a new facility that contains the sanctuary, educational wing, and fellowship hall. 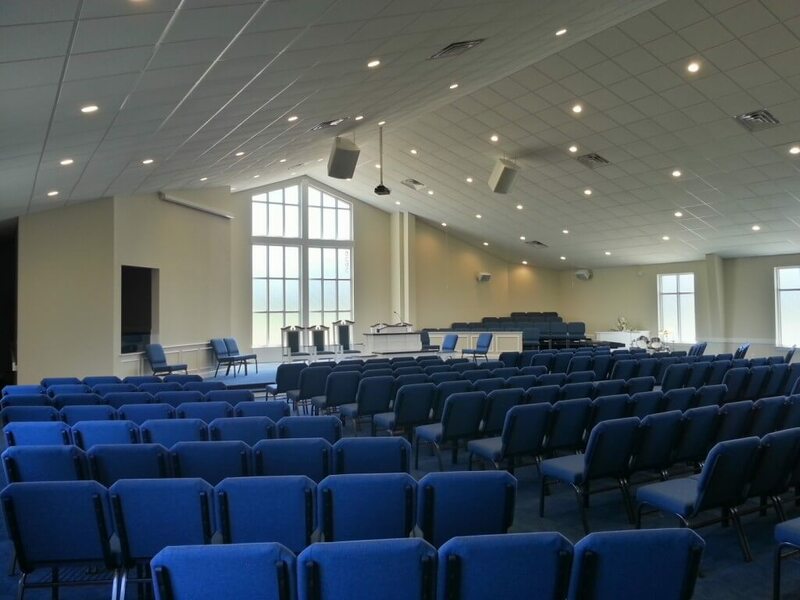 The facility is also constructed of 100% non-combustible materials which saves the church money on their insurance, and provides peace for a congregation that experienced a destructive fire. 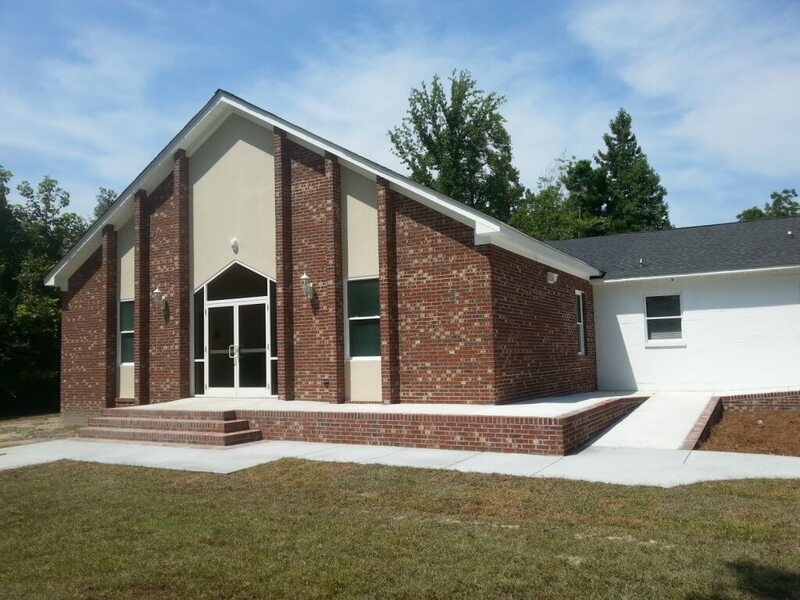 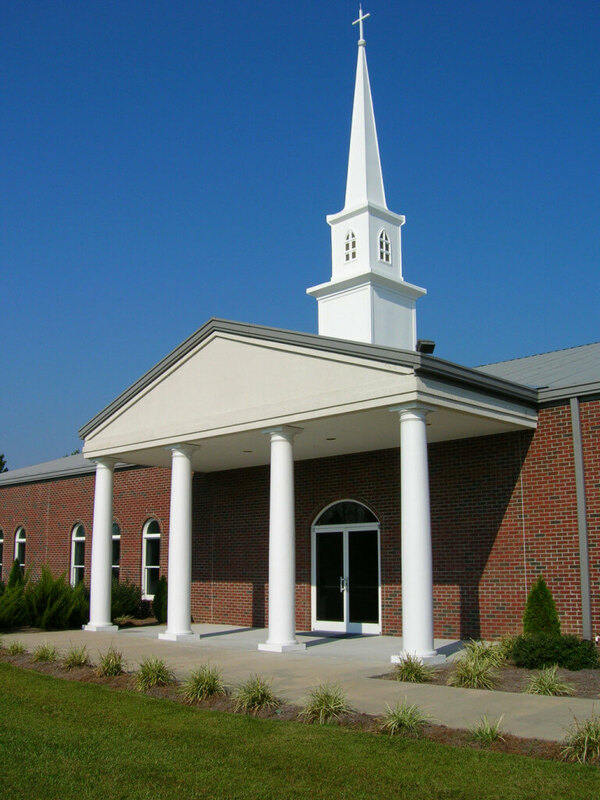 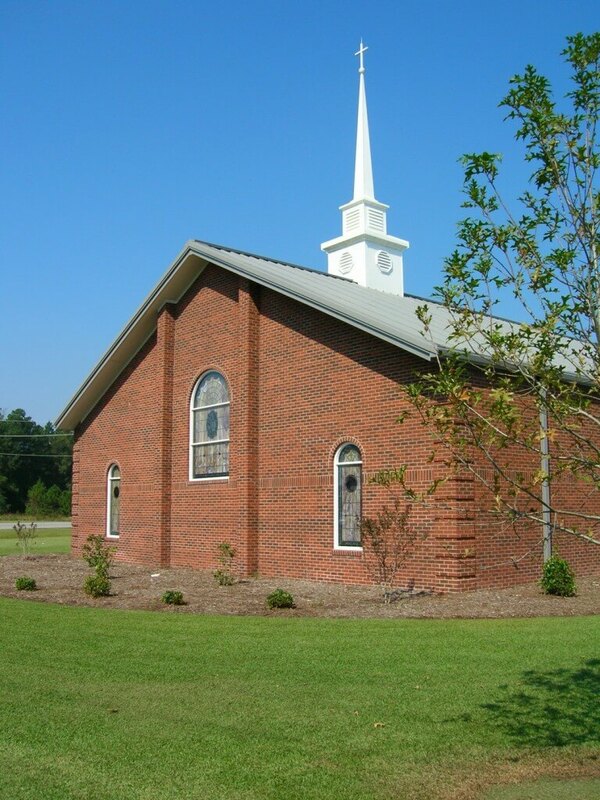 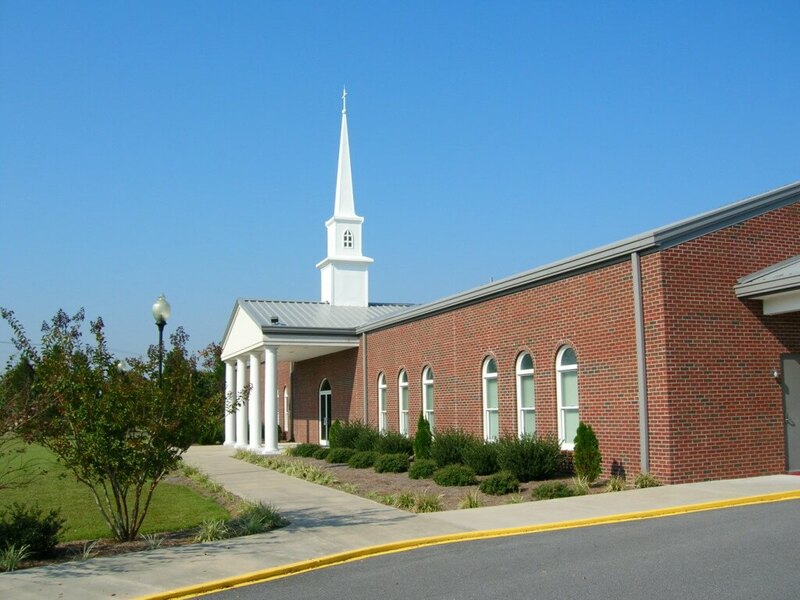 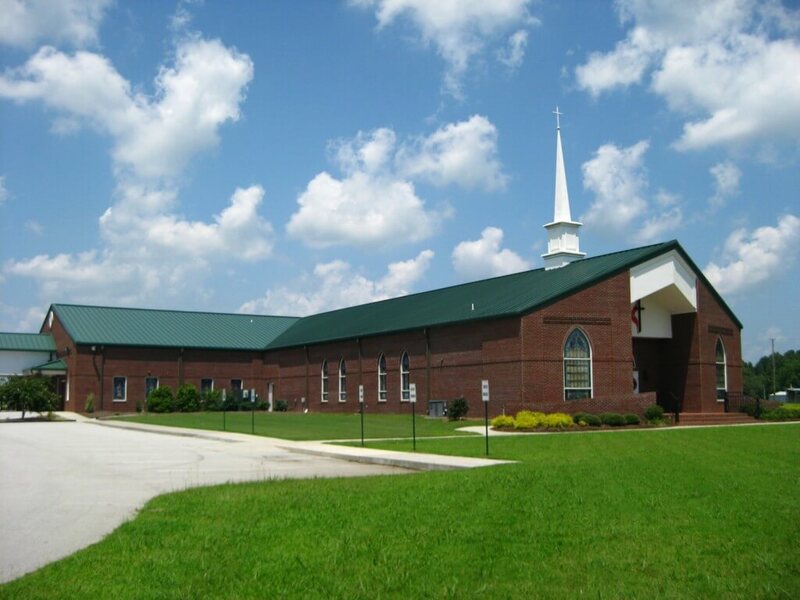 Tarheel was selected to design and construct the exterior remodel and addition for the Undenominational Pentecostal Holiness Church headquarters. The existing building has a varied history, as it has been home to car dealerships, a school and now its current use by the UPHC denomination. 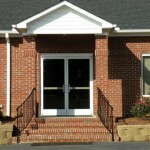 The building required retrofit framing of several existing buildings to remedy years of water damage. 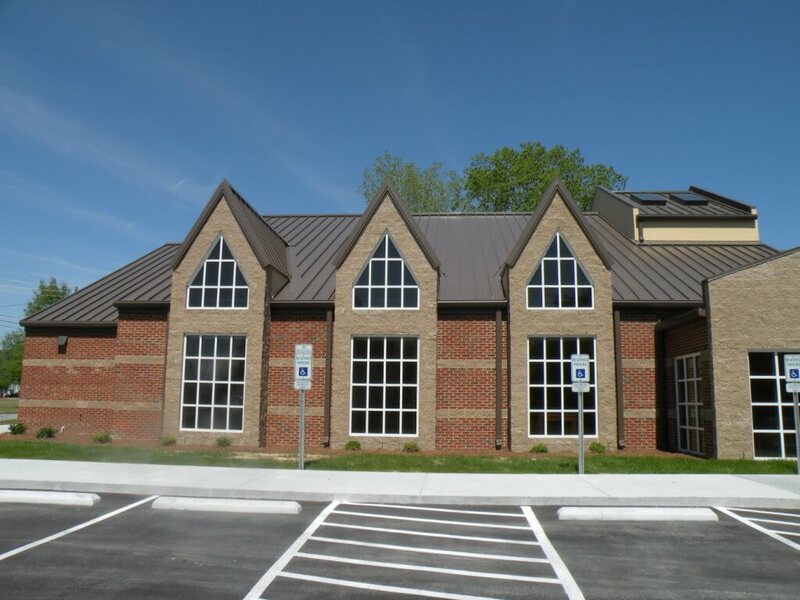 Due to its varied uses, all of the siding, both metal and vinyl were removed to accommodate installation of a new EIFS (synthetic stucco) exterior. 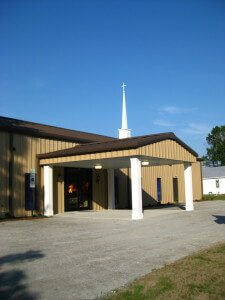 Founded in 1818, West Branch MB Church has a long and rich history. 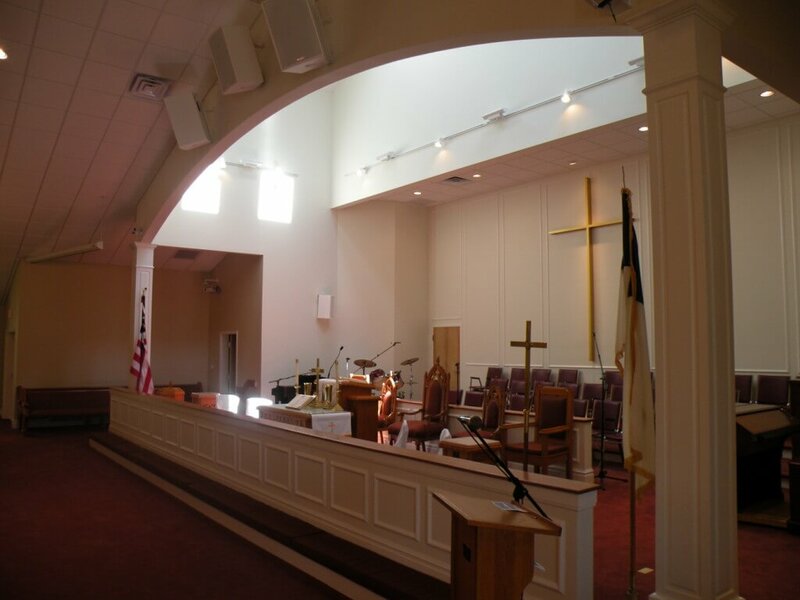 The position of the Sanctuary addition was critical to preserve the charm and historic character of the existing church. 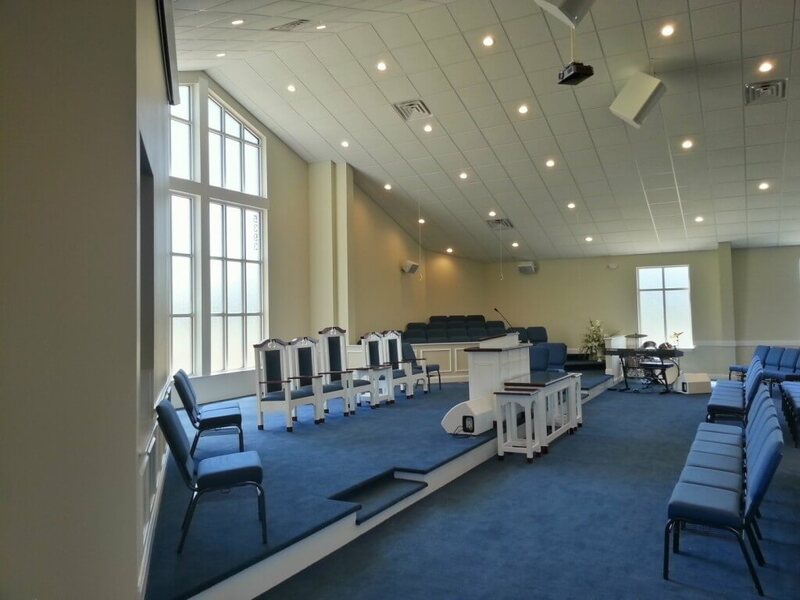 The final design positioned the Sanctuary to enable the congregation to enter the Fellowship and Educational space from the new addition. 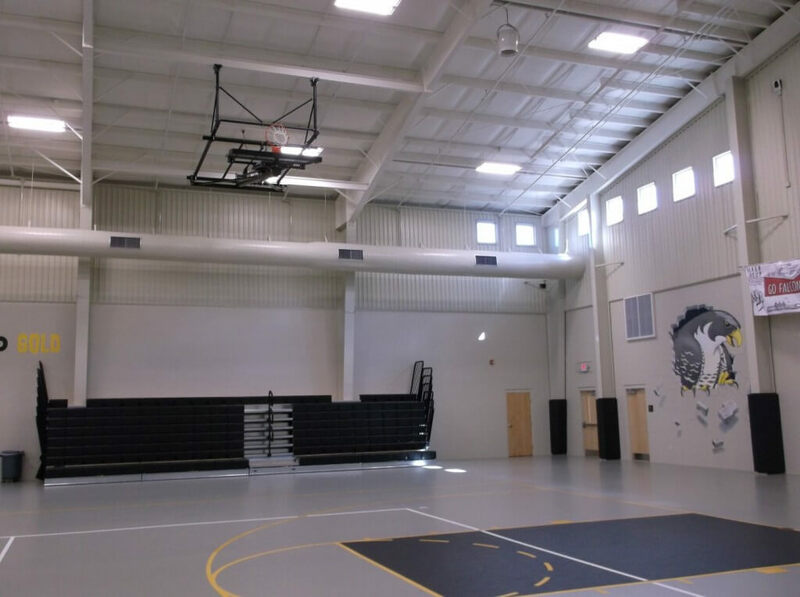 This project is conventionally framed to match the existing facility. 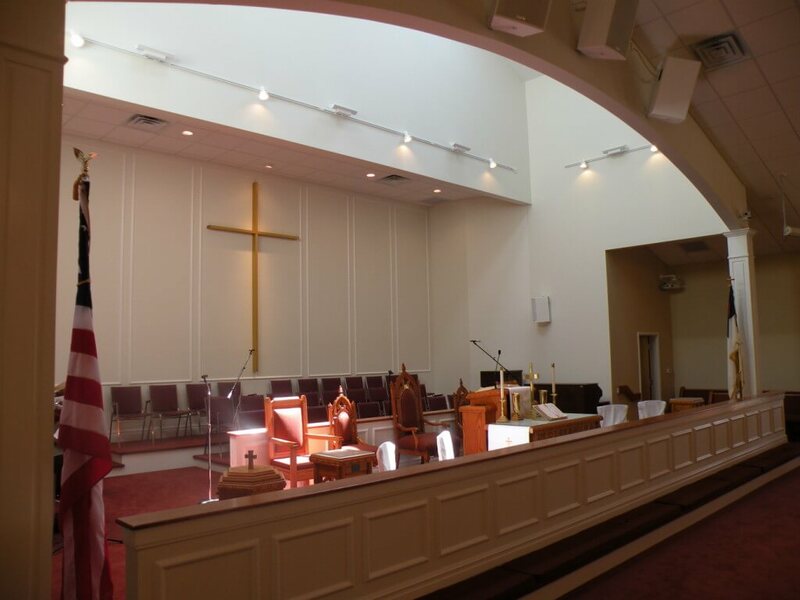 A plan has been devised to enhance the existing building with matching architectural details selected on the Sanctuary addition.